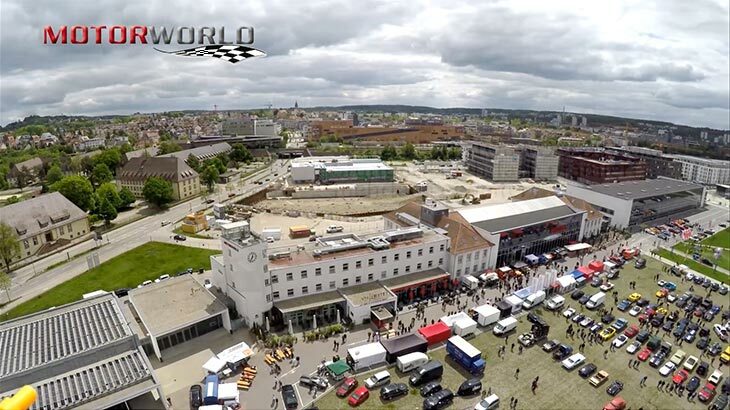 A whole world of motoring passion – that is what the MOTORWORLD brand and all the locations and projects that we realize together with business partners (real estate investors, dealers, hoteliers, restaurant proprietors, entertainment specialists, as well as event and trade fair organizers) stand for. MOTORWORLD brings a lot to bear to create the foundation for every single one of these activities: motoring passion, a network that reaches throughout the scene, and in-depth specialist know-how on the one hand, coupled with years of experience and expertise in project development on the other. The MOTORWORLD idea took shape several years ago with the establishment of a classic car and mobility centre (initially under a different licensing brand) on the site of the former Württemberg state airport in Böblingen/Sindelfingen. This opened in 2009, and since early 2014 the location has been operated under the brand name “MOTORWORLD Region Stuttgart”. Motoring passion, which meanwhile possesses a radiating force that extends far and wide. The underlying idea and concept have already gone through a successful and extremely dynamic expansion phase. Three other sites following on the same concept as Motorworld Region Stuttgart are currently under construction: Motorworld Köln-Rheinland, Motorworld München and Motorworld Zeche Ewald-Ruhr (Herten). Alongside these, the starting signal for Motorworld Mallorca is to be given shortly. The concept is complemented by the Motorworld Manufaktur locations in Berlin, Metzingen and Region Zürich in Switzerland. Not only that, but Motorworld Manufaktur Rhein-Main Rüsselsheim is being built on the site of the famous old Opel plant there. The Motorworld idea also regularly goes on tour, including to the annual classic car trade fairs Motorworld Classics Berlin and Motorworld Classics Bodensee in Friedrichshafen, as well as to scene events such as the Motorworld Oldtimertage at Fürstenfeld (near Munich), Motorworld HistoriCar in Duisburg, as well as in numerous other guises.